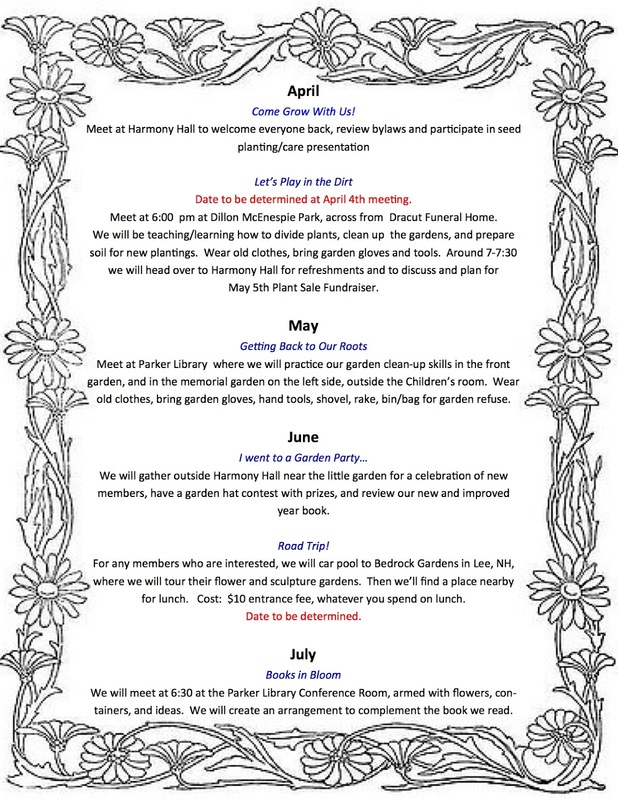 3/1: Club Meeting: Welcome Back, Program Review, & Secret Gardening Activity! 11/1: Club Meeting: Trivia Night! Mar 2 Club Meeting 7:00 - 9:00 p.m.
Mar 21 Executive Board Meeting 6:30 - 8:00 p.m.
Mar 24 GCFM Civic Development Workshop 10:30 – 2:00 p.m.
Apr 6 Club Meeting 7:00 - 9:00 p.m.
· Designing A Garden For All Seasons/Perennial Color – Spring through Fall with Suzanne Mahler. 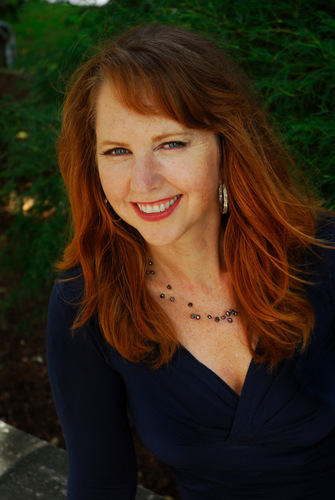 Suzanne will present a journey through the growing season with a dazzling display of the hottest new perennials and the tried and true favorites for both sun and shade. 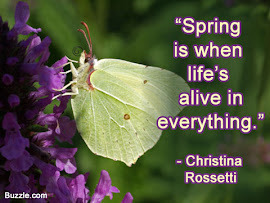 She will include garden tips for creating the illusion that the garden is in continuous bloom! 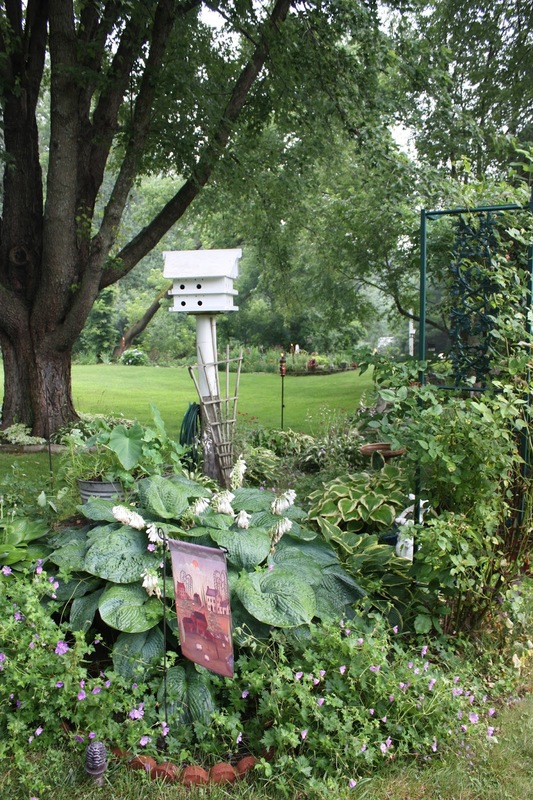 Apr 29 Arbor Day, National Arbor Day 10 – 11:30 a.m.
May 4 Club Meeting 7:00 - 9:00 p.m.
We will review the species of birds typically seen at local feeding stations and in backyard sanctuaries. Several identification aids such as size, body shape, bill shape and behavior. Presentation will cover the ranges, food preference, and other exciting facts about these amazing animals that, not only survive, but prosper during our severe New England winters. We will explore how the ranges and populations of many bird species have changed in recent years due to climate change, land use and development, and also how you can create your own backyard sanctuaries to enjoy watching these amazing creatures. · Sign up for June planter workshop. May 14 Yard Sale Fundraiser 8 a.m. - 3 p.m.
May 10 Northern District Annual meeting 8 a.m. – 2 p.m.
May 23 Executive Board Meeting 6:30 - 8:00 p.m.
Jun 1 Club Meeting 7:00 - 9:00 p.m.
Hands-on demonstration. How to take your container from “blah” to “aaah”. 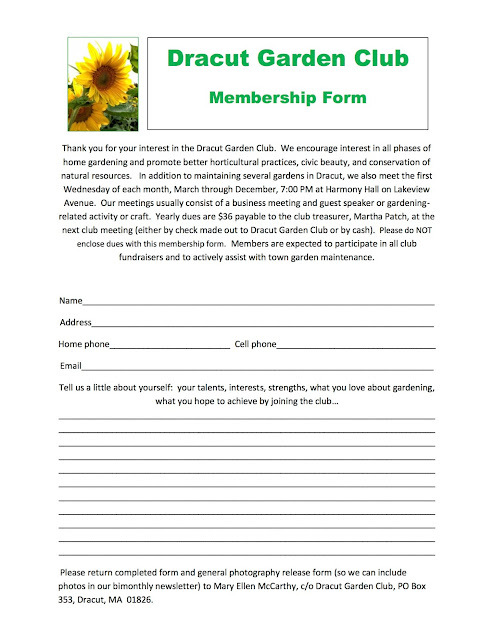 Members only need to bring a 12” -14” diameter container & gardening gloves. Cost of plants & soil will be $35 per member. Demonstrators will purchase on your behalf new 2016 varieties for this container project. Jun 1 GCFM Annual Meeting 8:30 – 3 p.m.
Jun 11 Plant Sale Fundraiser 8:00 - 12:00 p.m.
Jun 24-26 Newport, RI Flower Show with Tewksbury Garden Club. July 6 Club Meeting - 7:00 p.m. – 9:00 p.m.
What to look for and how to design with ornamental grasses concentrating on varieties best suited to New England gardens. He will share some valuable and innovative insights on growing and maintaining grasses. · Sign up for Potluck Social. 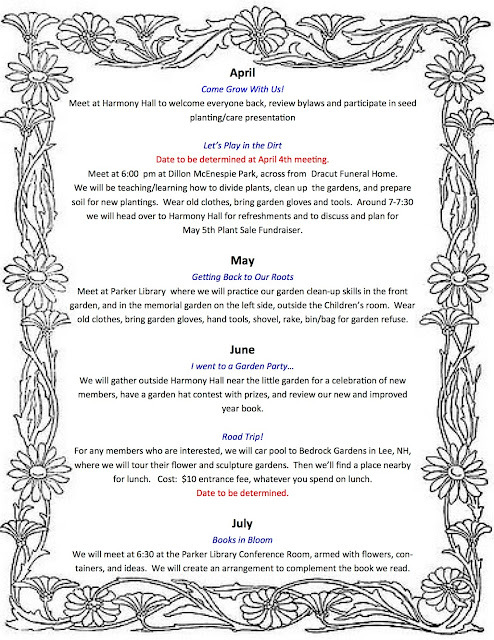 Jul 18 Executive Board Meeting 6:30 p.m. - 8:00 p.m.
Aug 3 Club Meeting 6:00 p.m. - 9:00 p.m.
· Garden Tour & Pot Luck Social. Sept 7 Club Meeting 7:00 p.m. - 9:00 p.m.
Sept 10 Old Home Day 8:00 a.m. - 4:00 p.m.
Sept 19 Executive Board Meeting 6:30 p.m. - 8:00 p.m.
Oct 5 Club Meeting 7:00 p.m. - 9:00 p.m.
Do you consider orchids some of the most finicky plants to grow? The truth is that these beauties are some of the easiest plants to grow if given the correct exposure, the proper potting soil and the right amount of water. Award-winning expert, Norm Selander-Carrier, will discuss these basics and debunk commonly held myths associated with their care. Norm will bring a variety of blooming plants. · Sign up for Christmas Party with Cheryl. 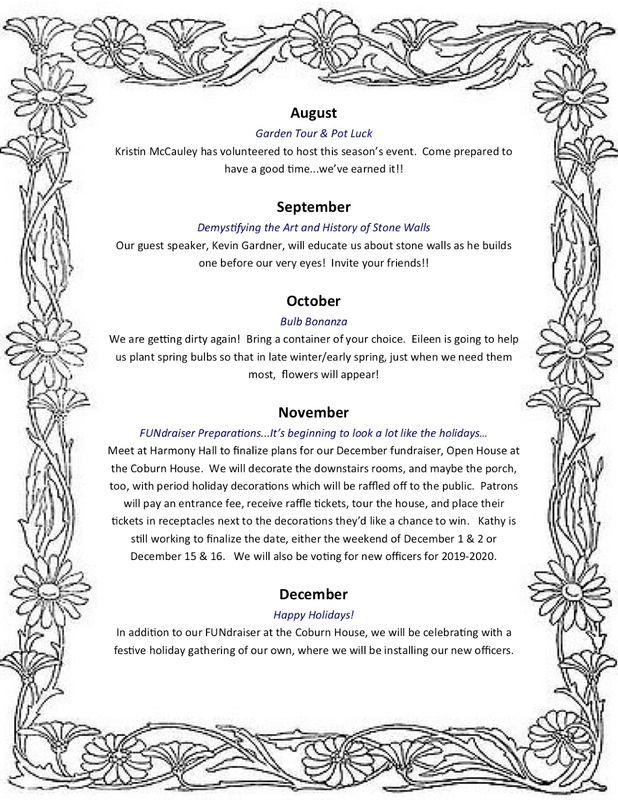 Nov 2 Club Meeting 7:00 p.m. - 9:00 p.m.
· Craft Night, Unique Holiday Wreath. 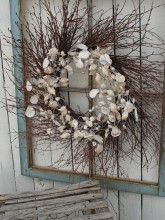 Made of painted yardsticks and pine branches – creates STAR. Inspired by Pinterest, Demonstrated by Gail. Cost $10 (payable at Oct. mtg). · Election Ballot for New officers - 2017-2019. 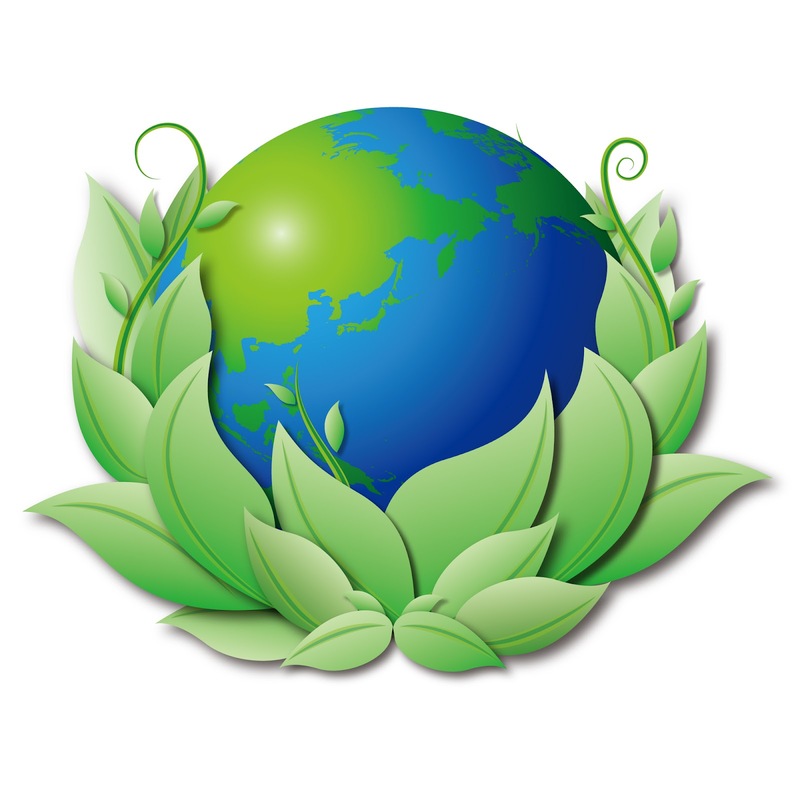 Nov 3-4 Environmental Study School 8:30 a.m. – 4:30 p.m. The Registration form is available on at gcfm.org. Nov 21 Executive Board Meeting 6:30 p.m. - 800 p.m.
Dec 7 Club Meeting - Christmas Party 6:00 p.m. - 9:00 p.m.
· Announcement of New 2017-2019 Officers. This will be an interactive meeting. 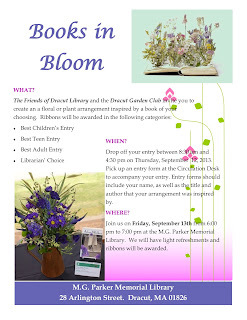 We'll put together our own show using floral arrangement and horticulture principles taught by our garden guru, MJ. Members will bring flowers & greens from their own gardens as well as a "special" flower for the horticulture aspect of the show. Members' photos will be displayed & judged. Award presentation to follow. Our speaker will be Dr. Paul Steen of the Massachusetts Master Gardening Association. He'll cover basic greenhouse gardening including varieties of greenhouses (construction, heating, & ventilation), plants, soils, pots, water, sanitization and what plants work best. You will learn the art of design and balance as you artfully construct your own arrangement to adorn your home. 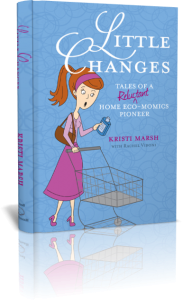 This will be a conversation starter at your holiday gatherings! An old-fashioned scavenger hunt around the neighborhood has been planned for your entertainment! Teams will be assigned & a list of items will be provided for the hunt. Dress warm & wear boots because you'll be outside-- don't worry, we won't let you get frost bite! Your time outdoors will be limited. Donation of $10 per member in lieu of gifts to be donated to a local charity. 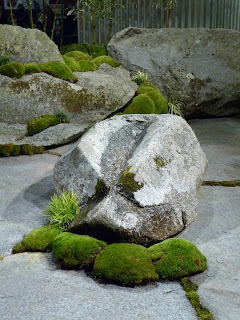 Mar 17: Garden Club Group Trip, Boston Flower Show, 9:00 a.m. - 2:00 p.m.
Mar 25: Executive Board Meeting, 6:30 p.m. - 8:00 p.m.
Apr 13: Celebrate The Earth, 10:00 a.m.-12:00 p.m. Sat. May 11: Club Field Trip 9:00 a.m. - 2:00 p.m.
May 18: Yard Sale - CLUB FUNDRAISER, 9:00 a.m. - 3:00 p.m.
May 20: Executive Board Meeting 6:30 p.m. - 8:00 p.m.
May 18: Memorial Day Planting 10:30 a.m.
Library Centerpiece to be created by: Diane D.
Jul 22: Executive Board Meeting 6:30 p.m. - 8:00 p.m.
Topic: All About Butterfly’s and What Plants Attracts Them! 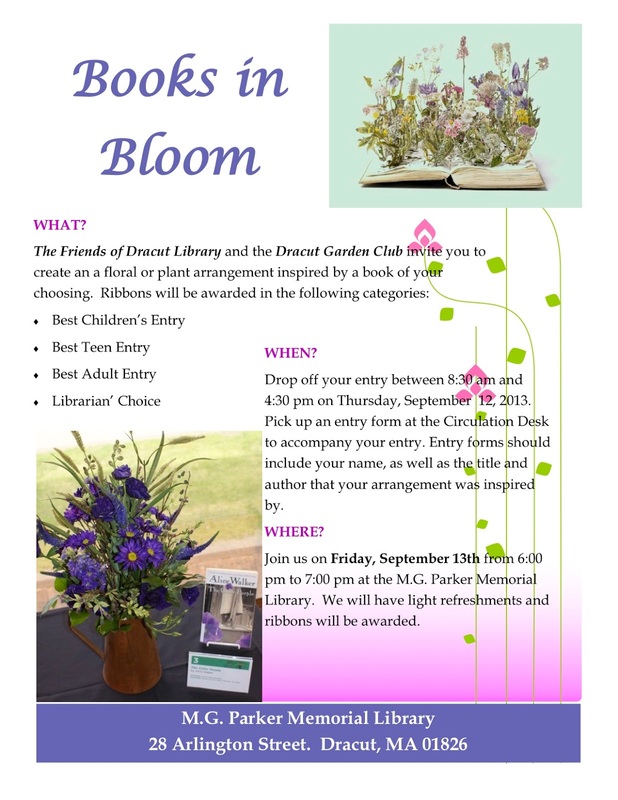 Sept 7: Dracut Old Home Day 8:00 a.m. - 4:00 p.m.
Sept 13: Library Reception 6:00 p.m. - 7:00 p.m.
Sept 23: Executive Board Meeting 6:30 p.m. - 800 p.m.
Library Centerpiece to be created by: Donna B. Announcement: November Program - All members must sell 1 ticket $10 each. EACH MEMBER REQUIRED TO SELL (1) TICKET FOR THIS EVENT. $10 each. Nov 18: Executive Board Meeting 6:30 p.m. - 800 p.m.
Dec 11: Club Meeting - Holiday Party 6:00 p.m. - 9:00 p.m.
Donation of $10 per member in lieu of gifts to be donated to local charity. Dinner and holiday socializing -- holiday attire.